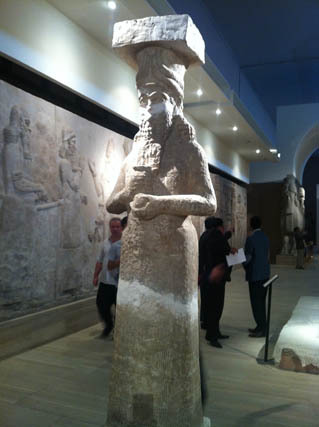 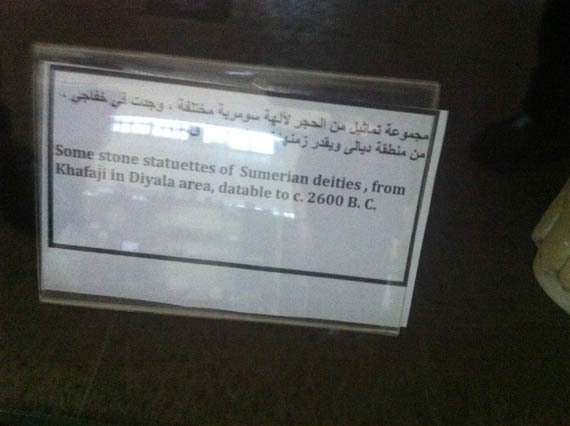 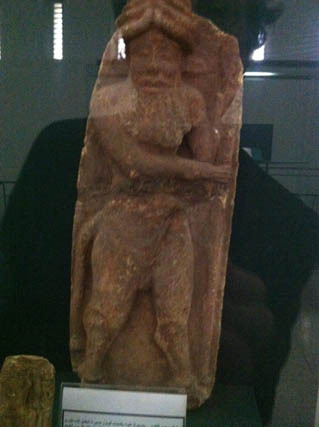 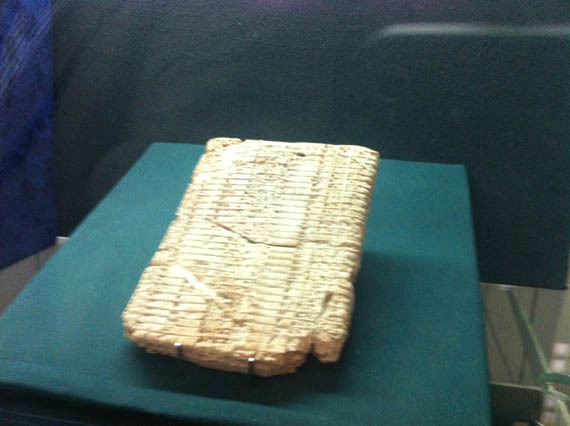 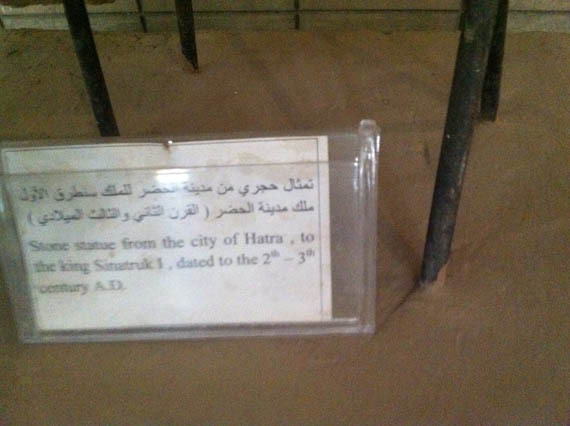 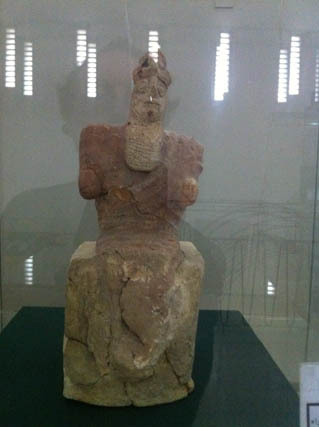 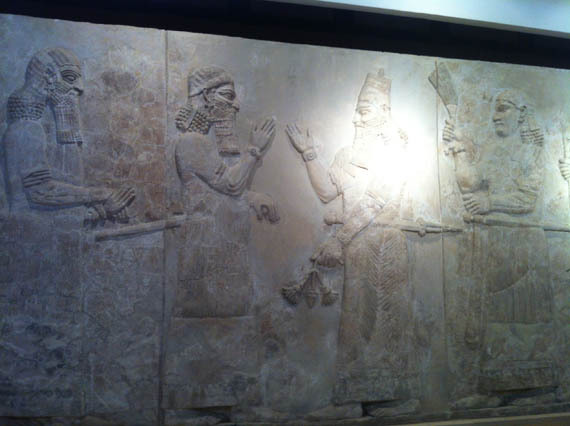 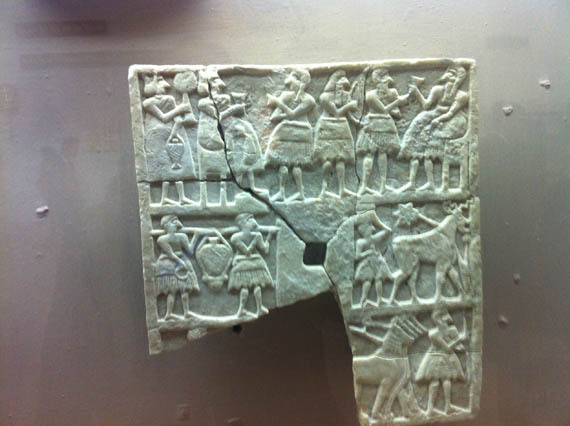 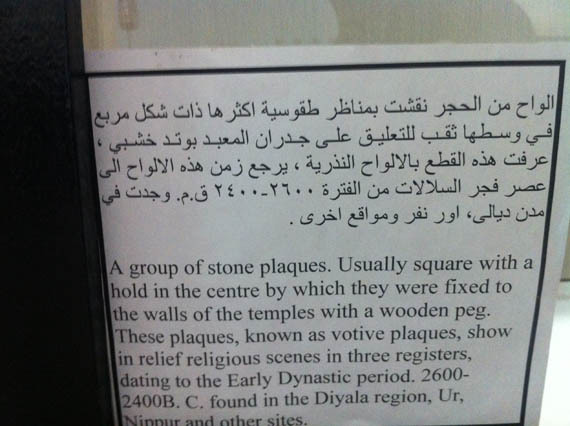 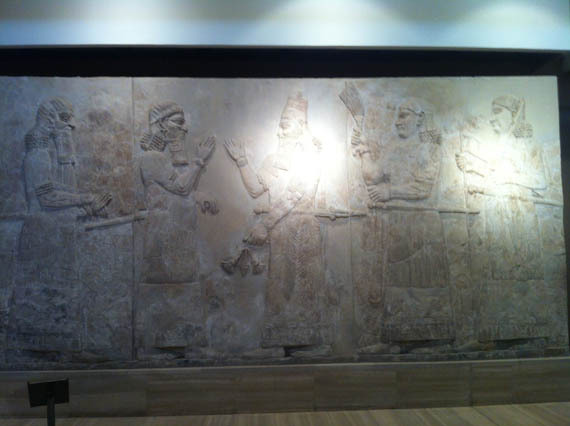 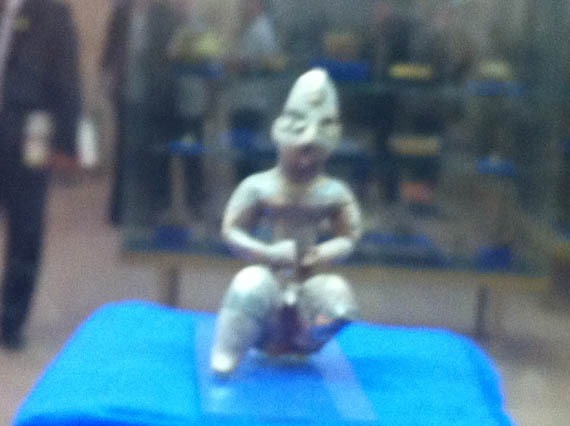 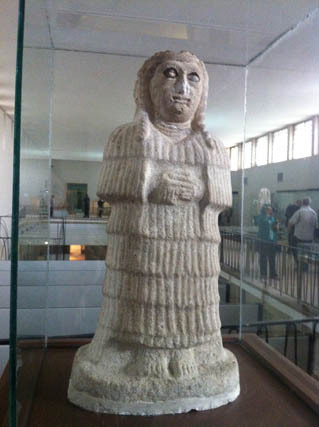 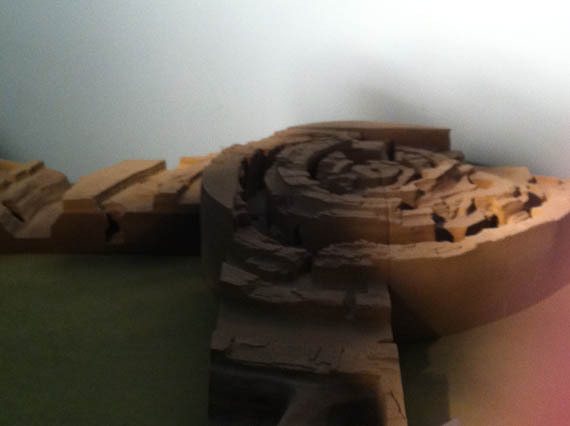 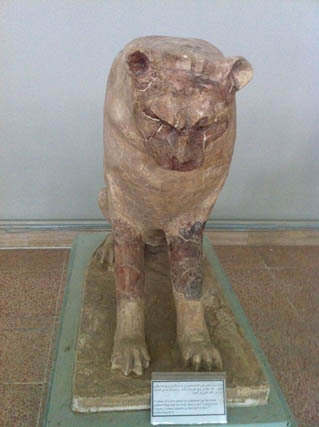 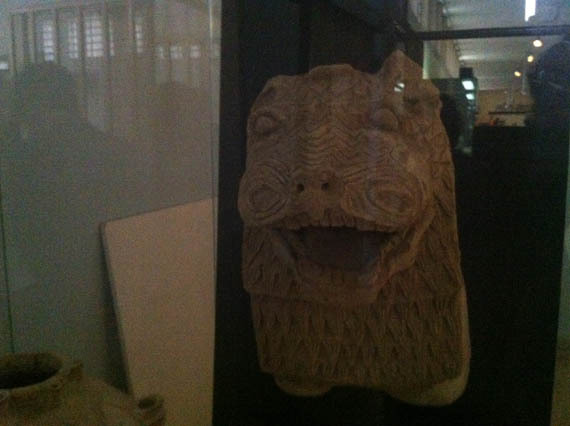 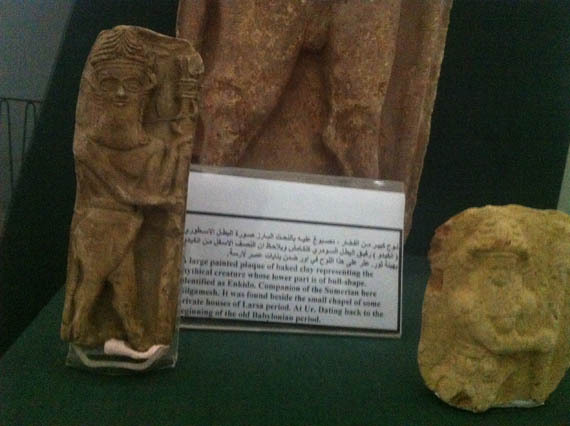 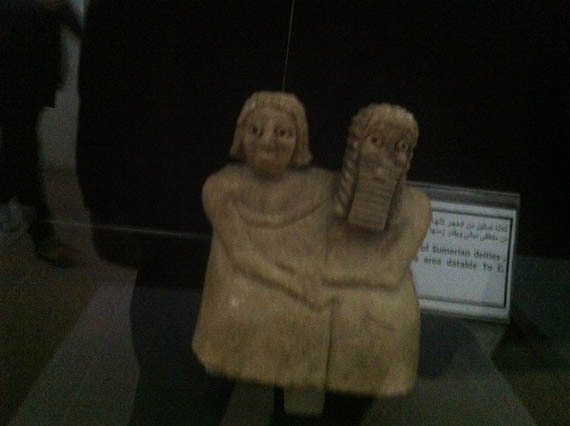 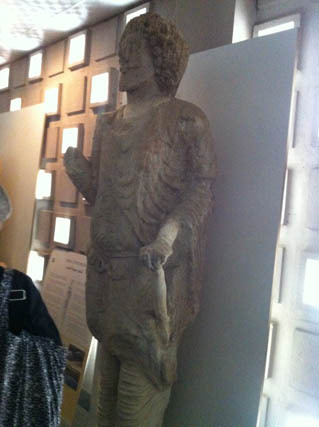 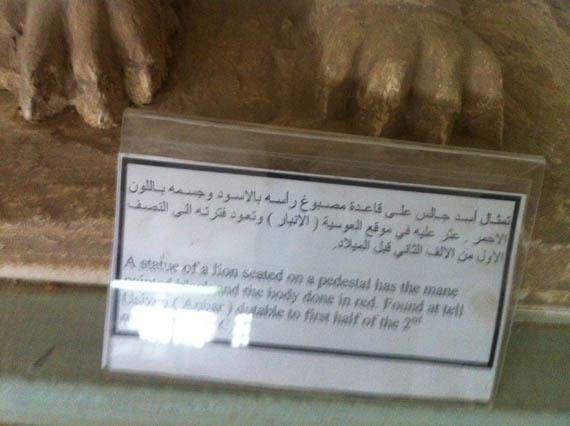 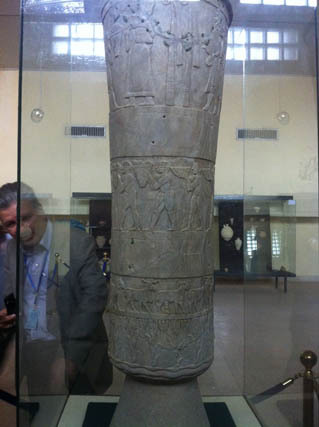 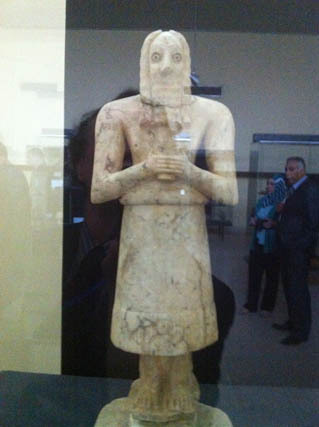 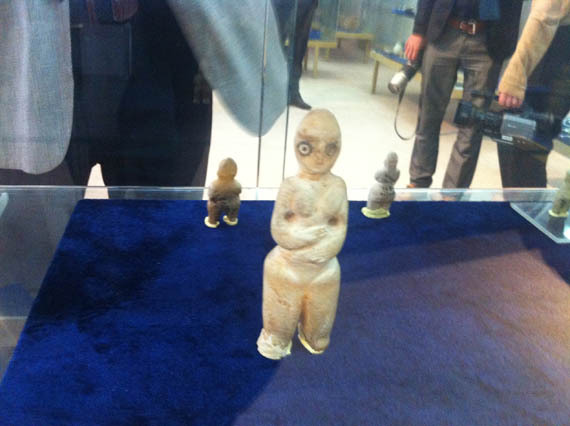 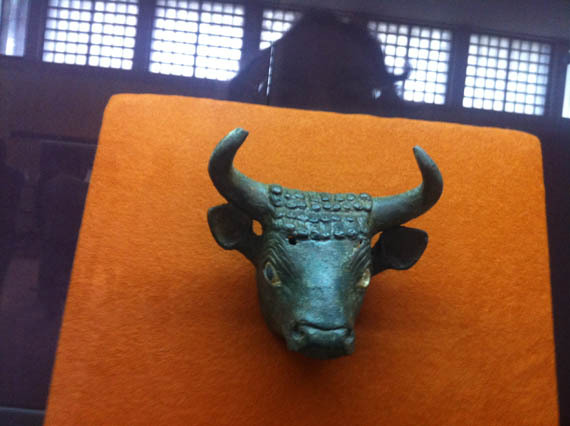 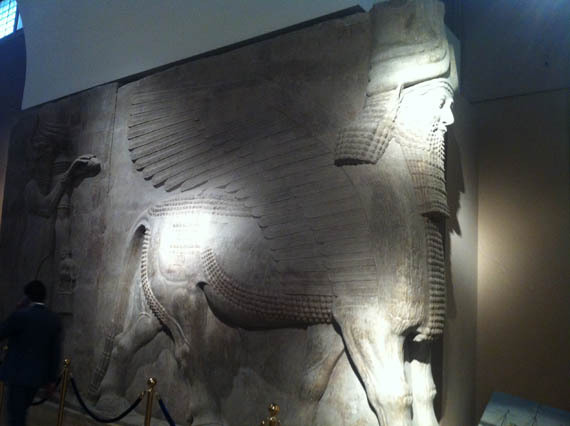 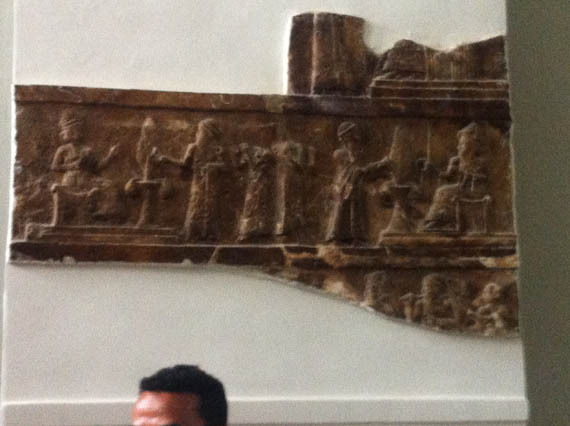 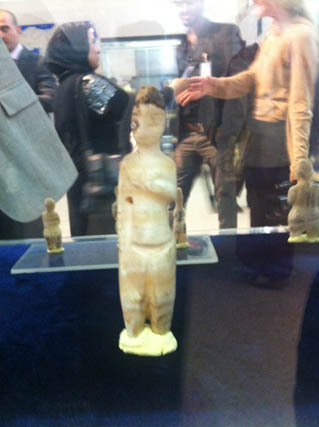 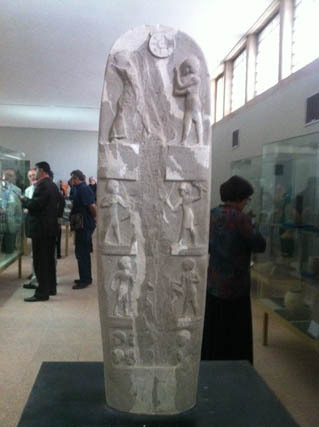 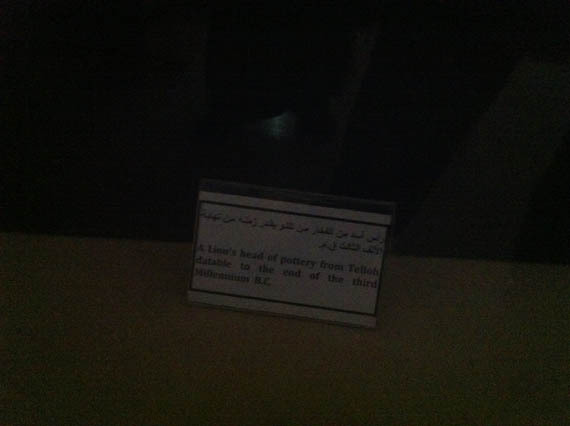 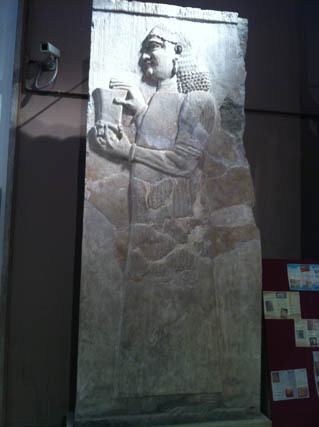 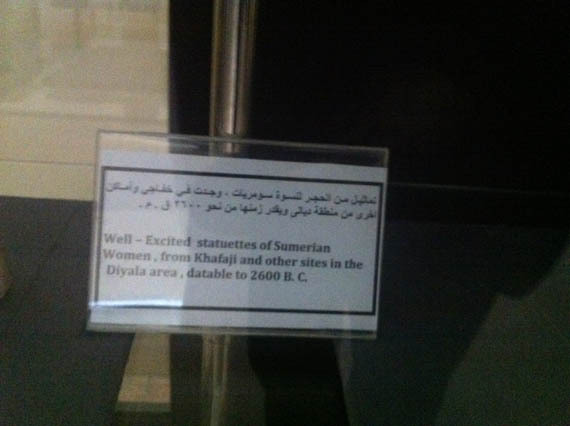 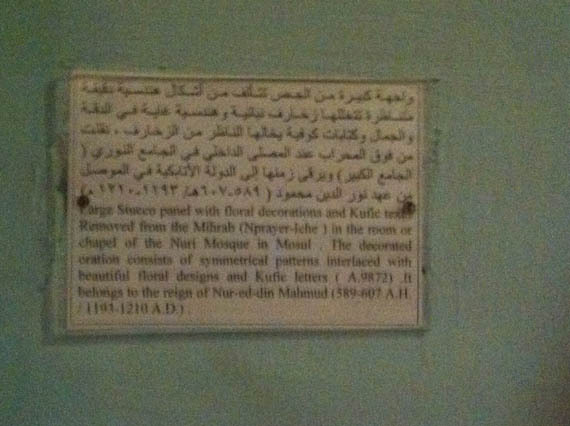 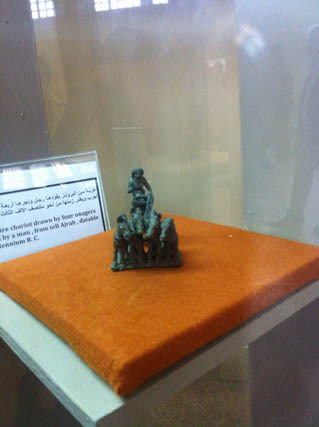 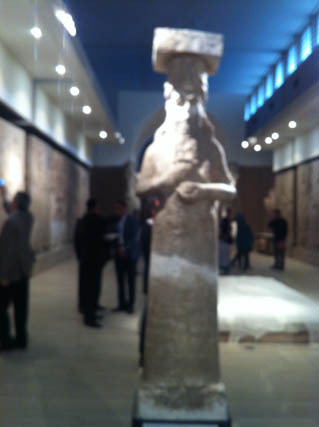 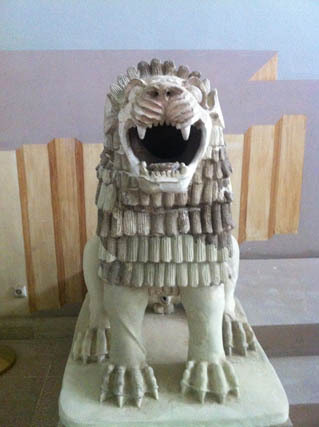 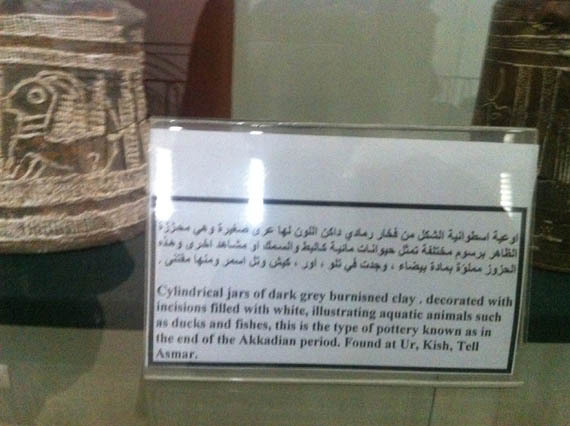 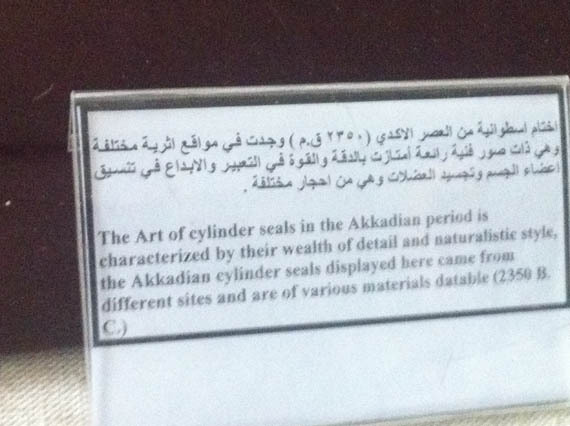 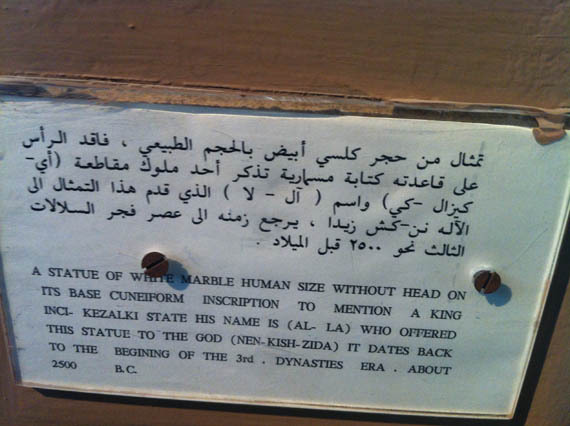 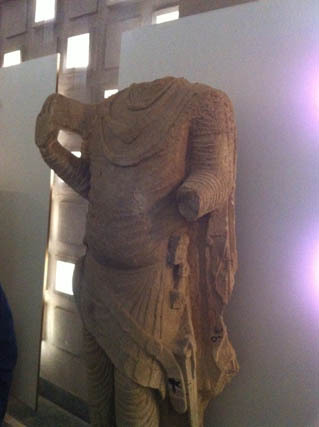 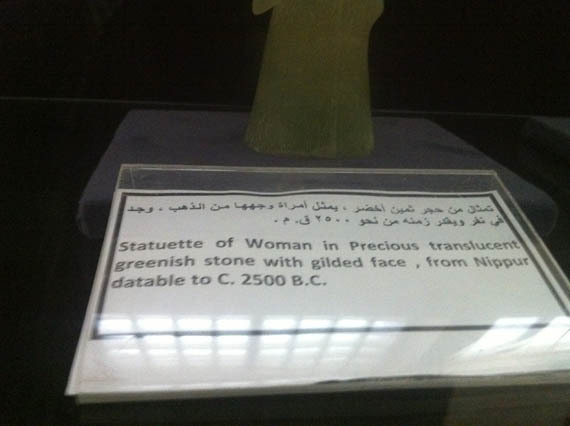 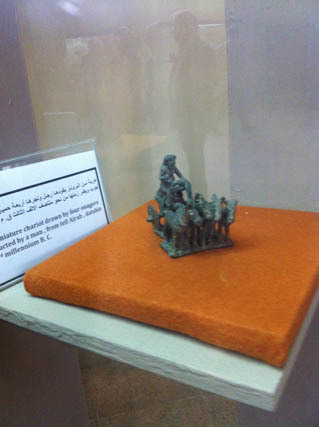 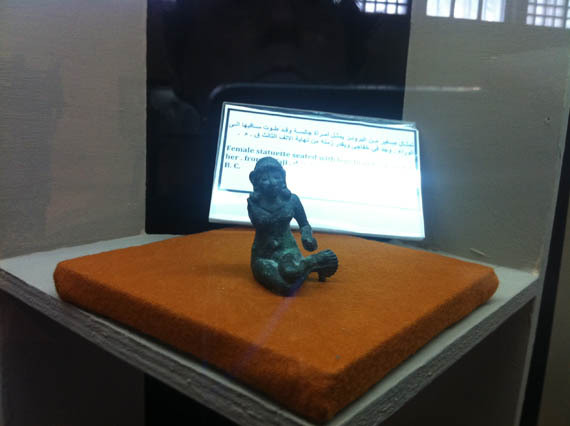 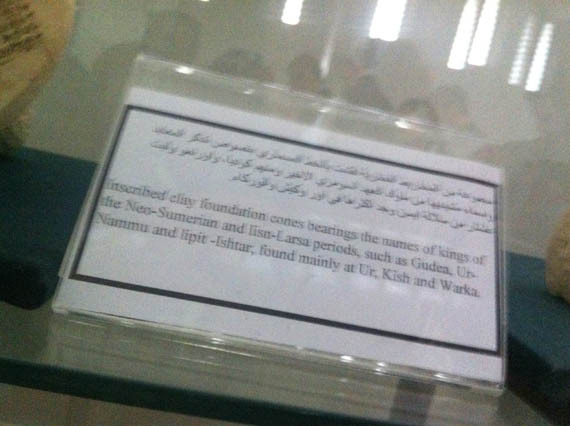 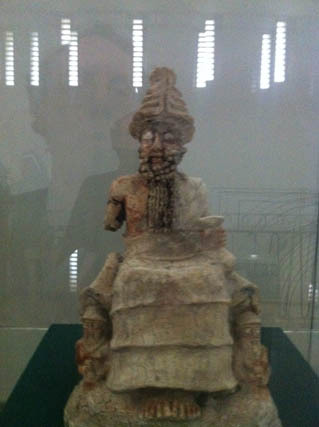 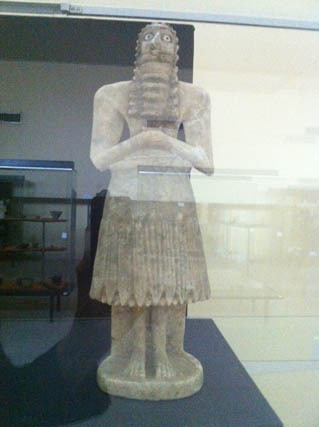 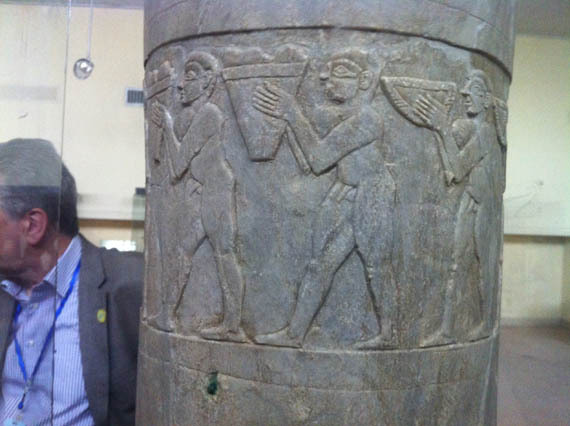 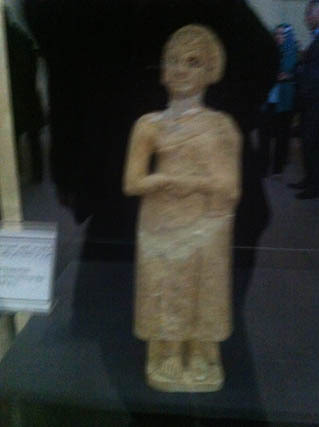 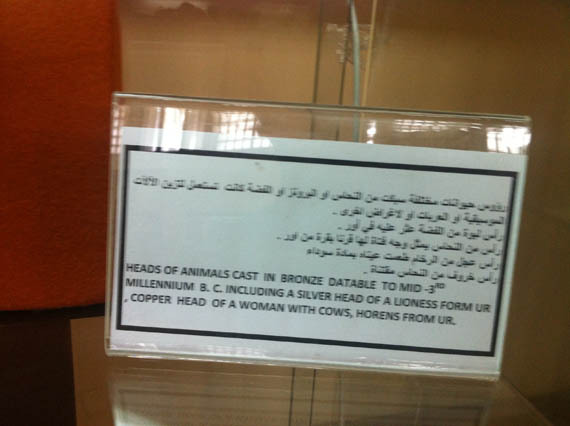 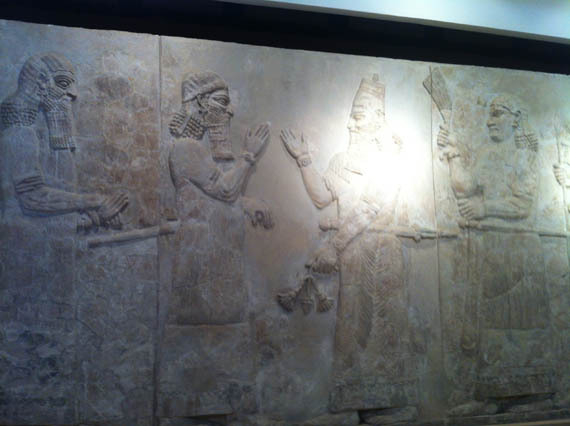 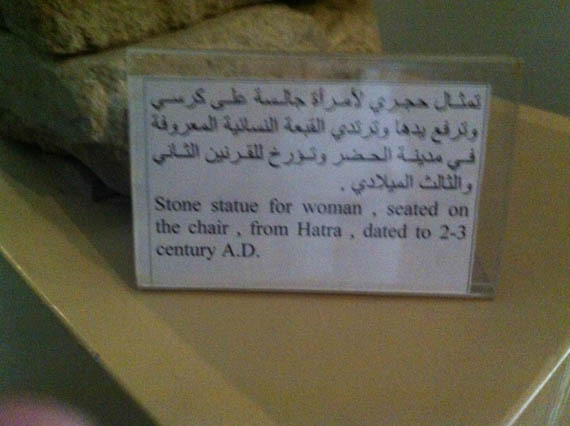 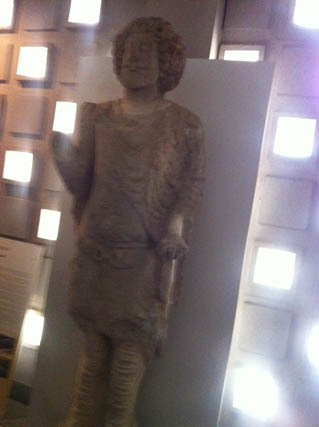 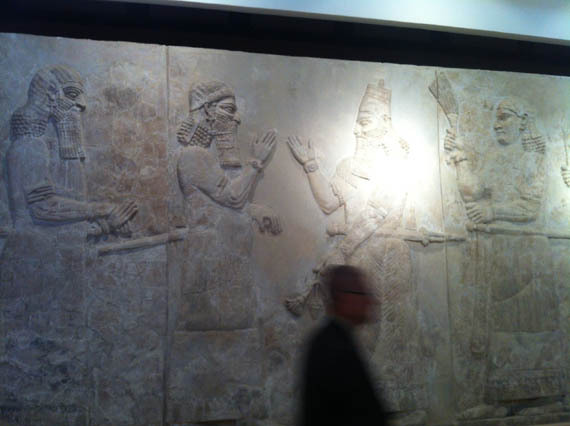 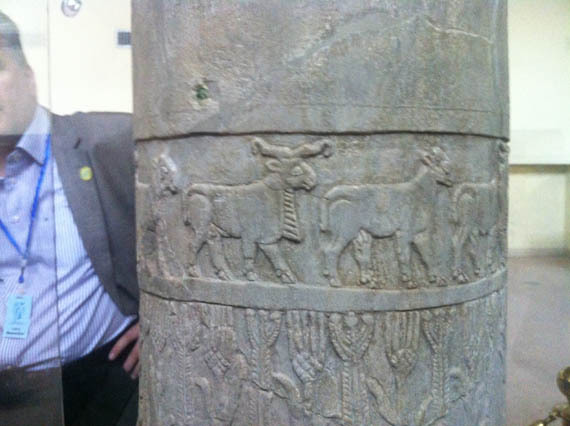 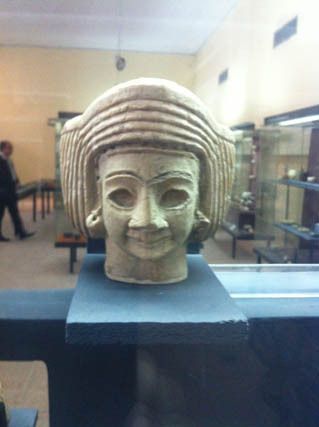 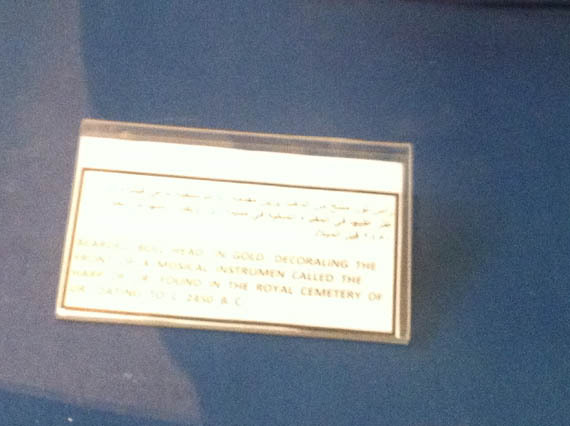 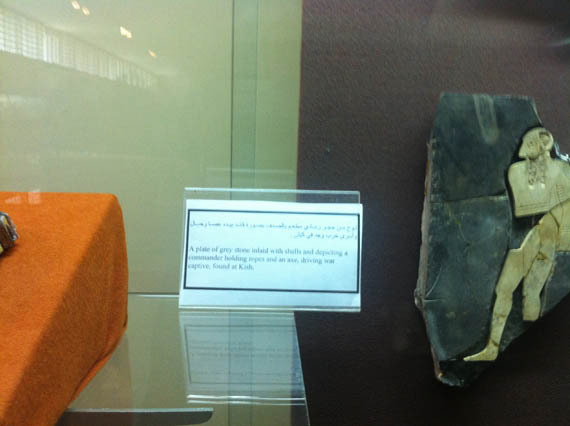 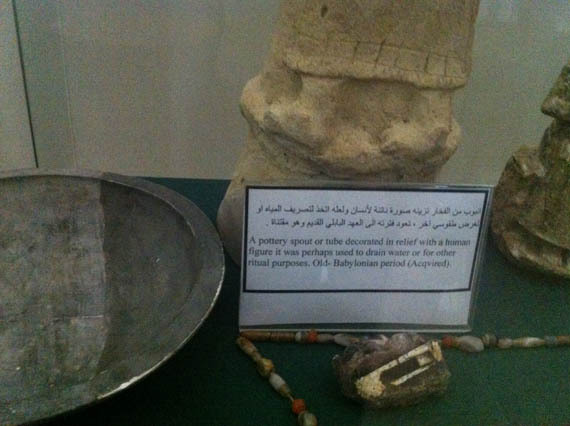 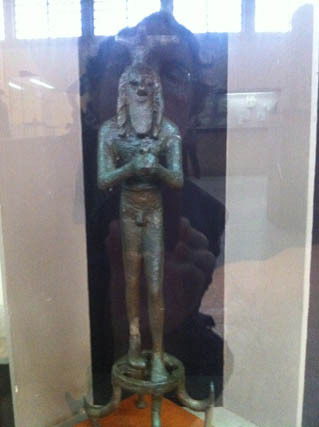 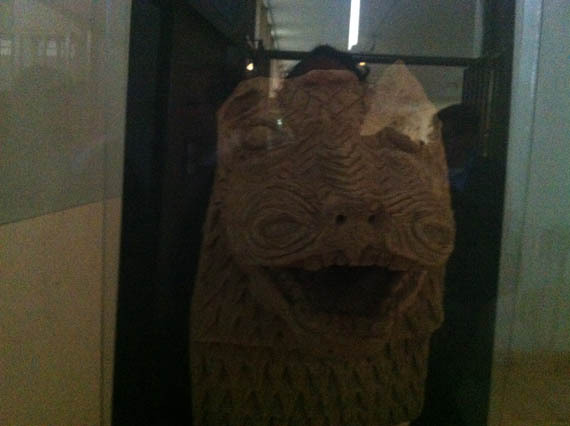 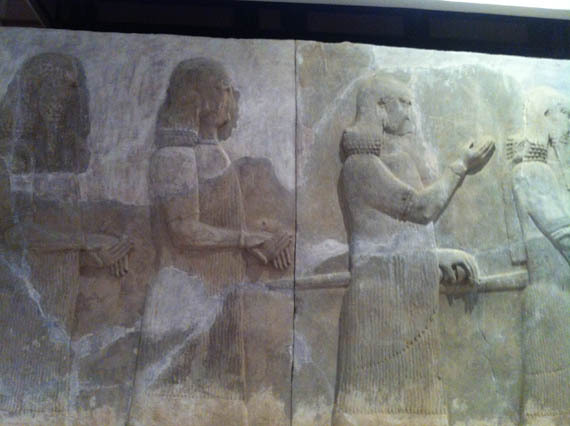 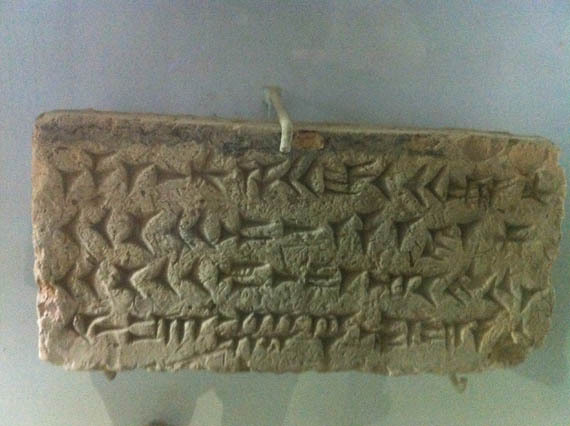 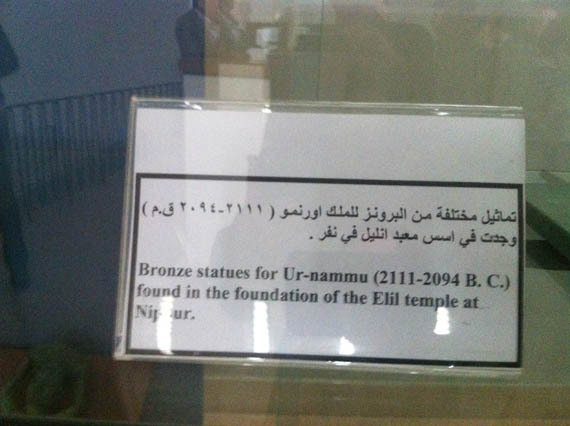 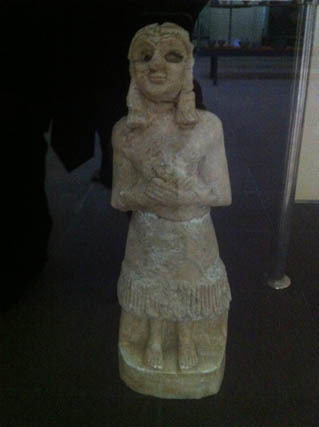 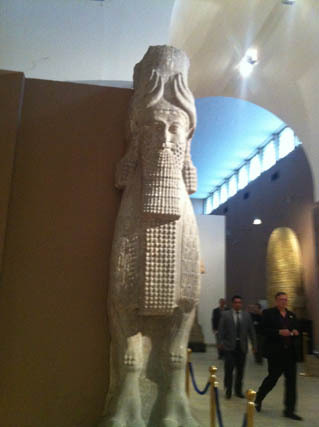 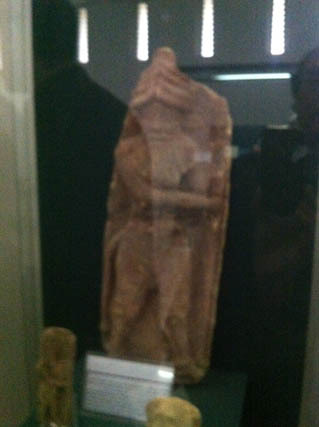 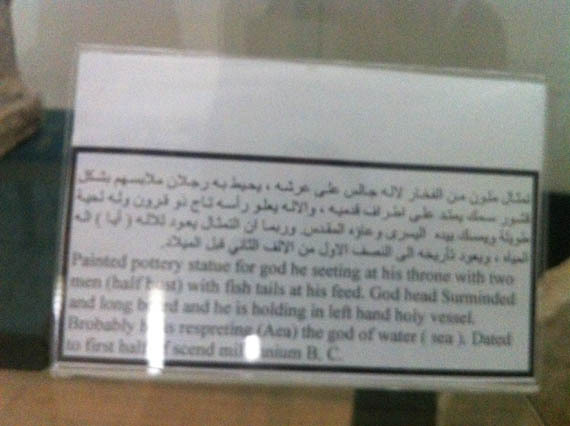 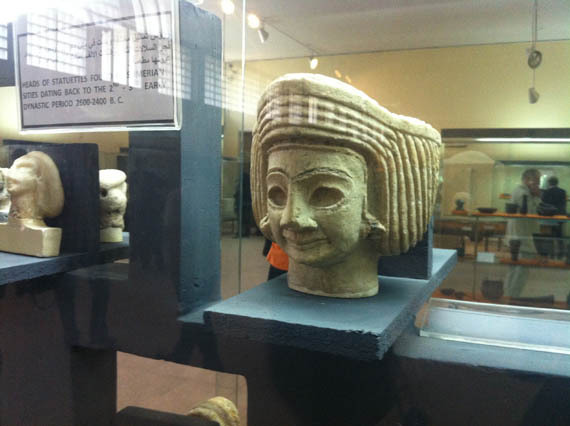 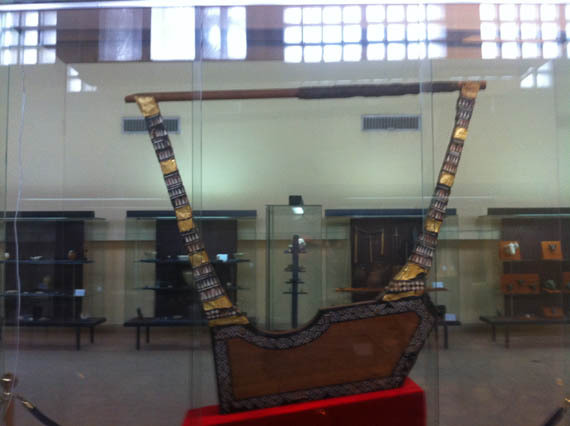 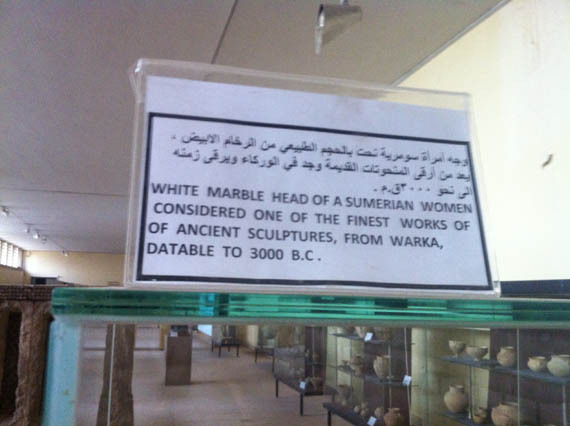 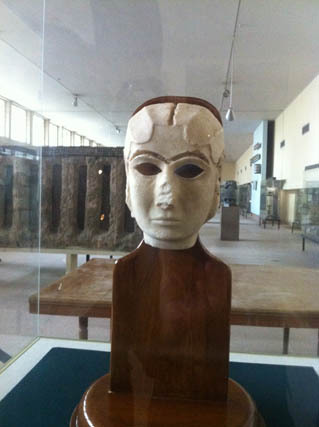 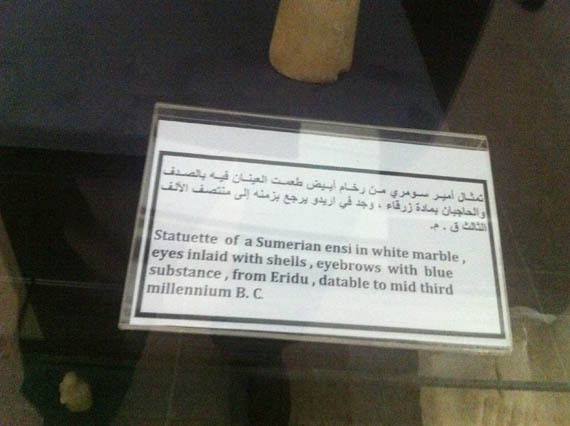 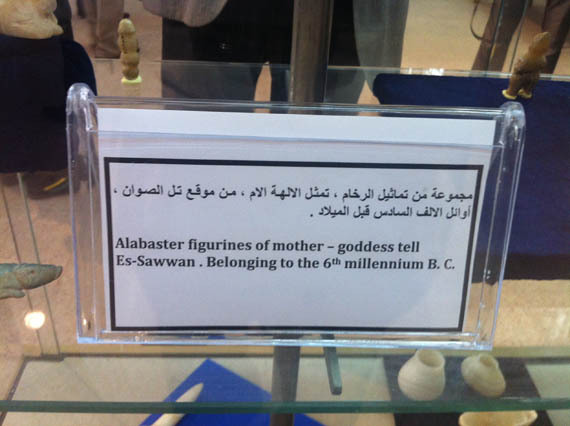 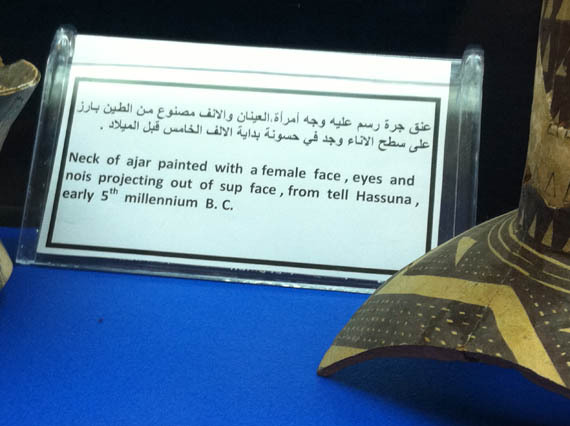 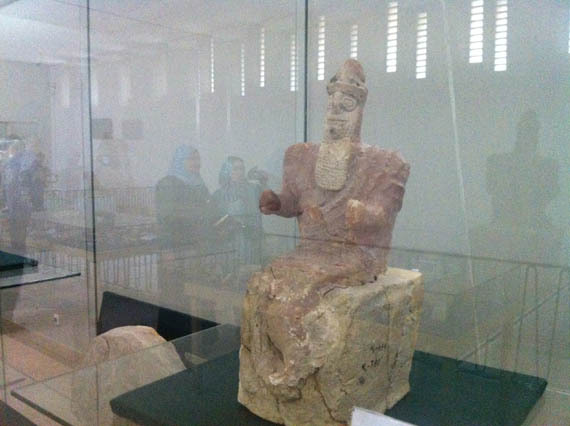 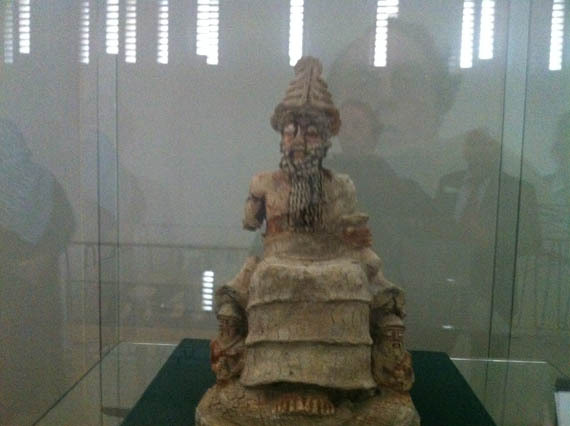 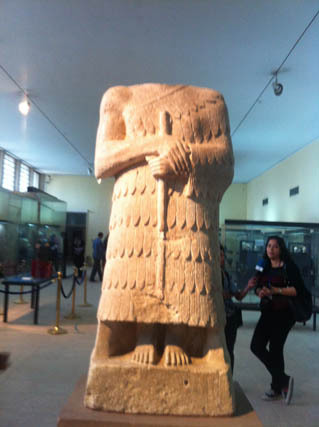 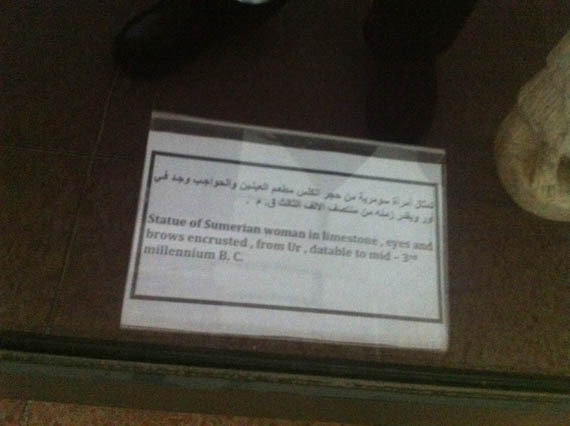 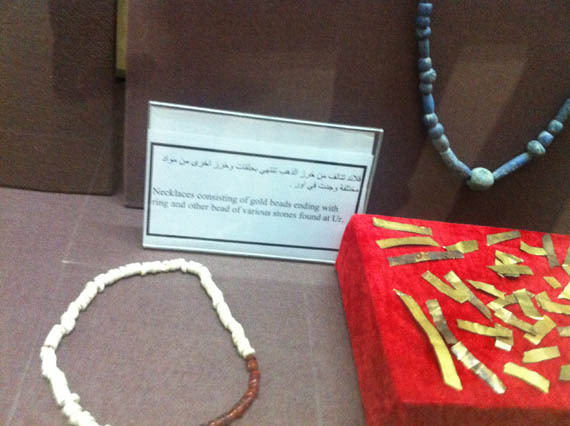 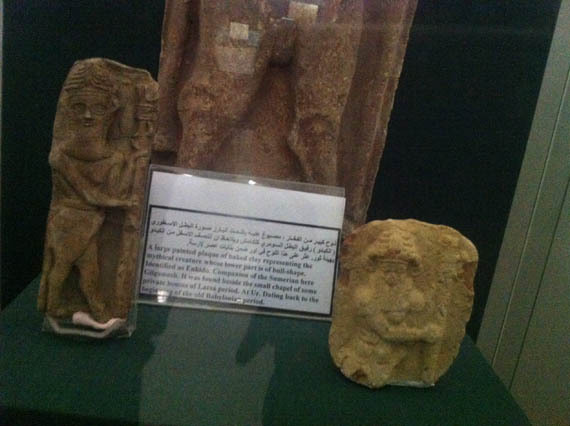 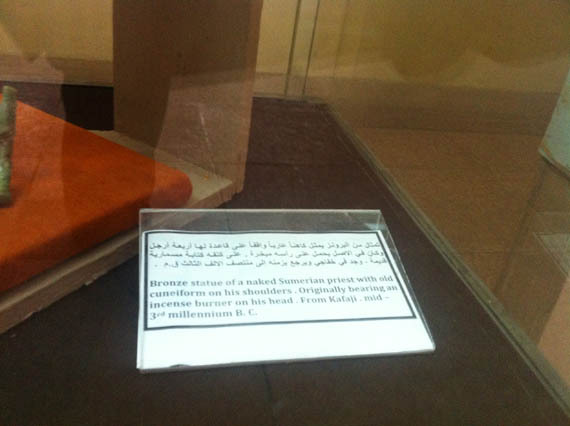 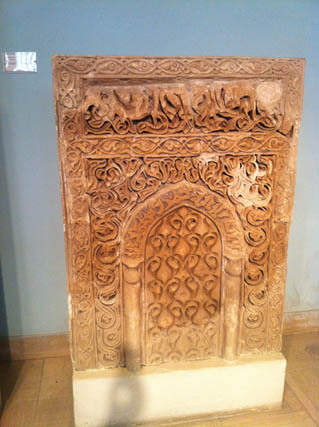 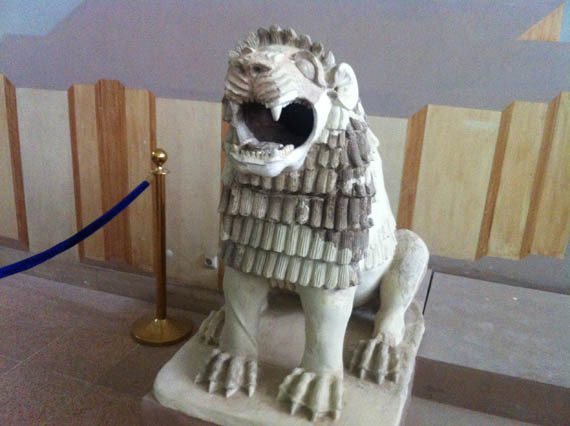 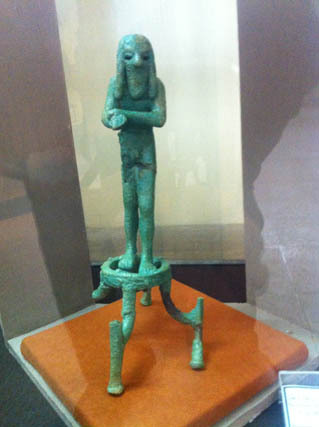 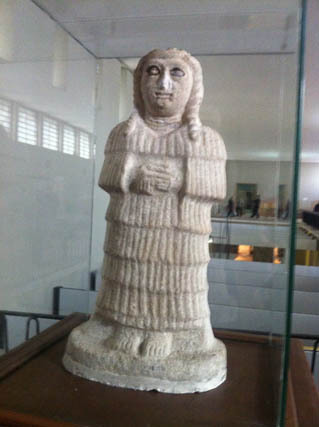 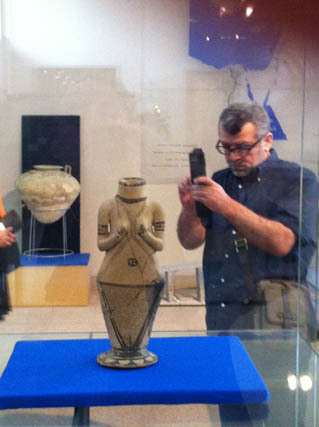 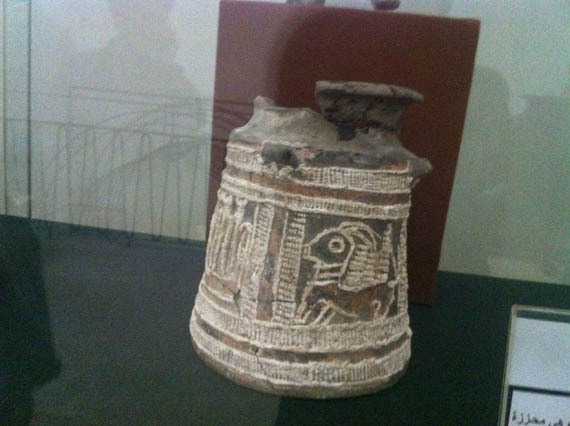 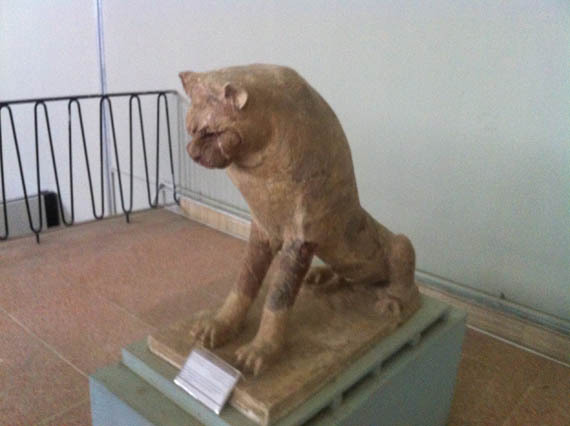 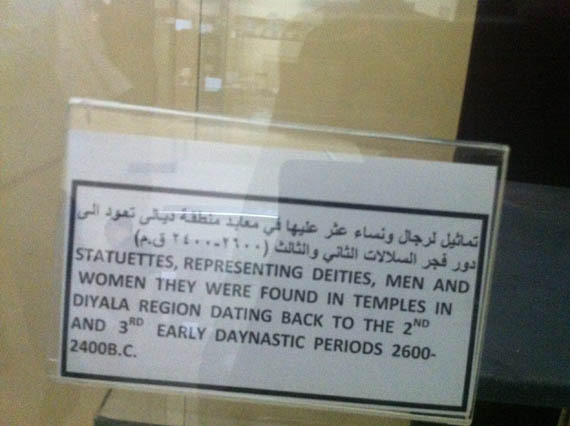 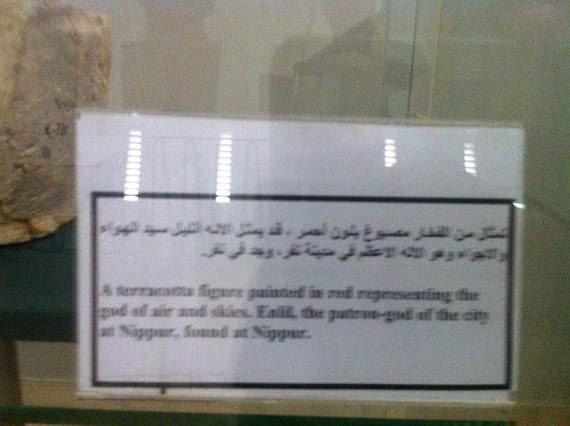 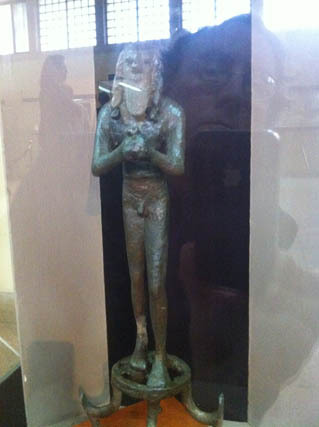 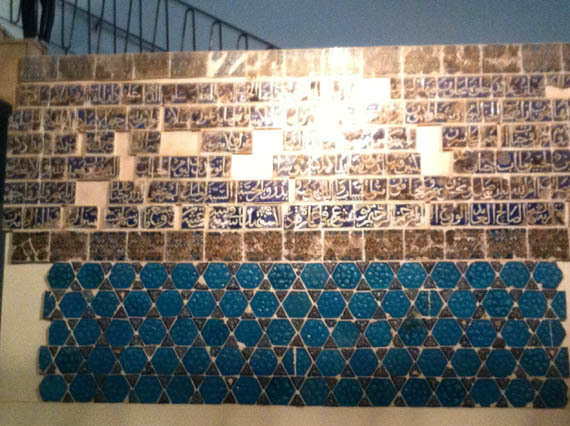 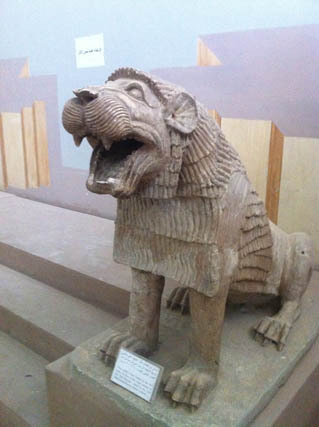 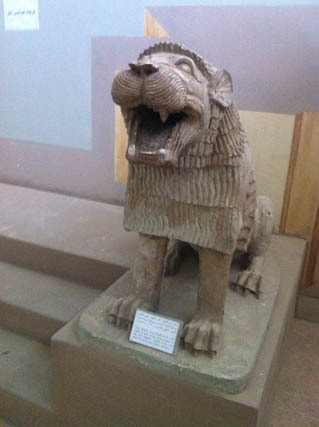 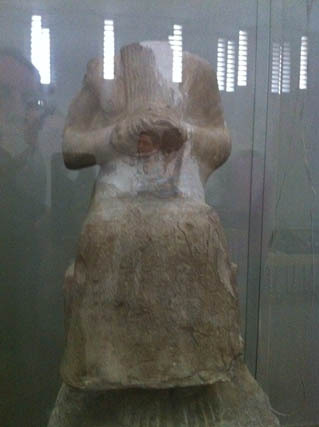 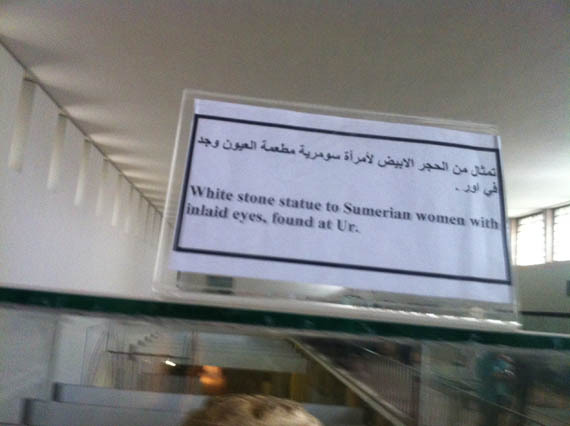 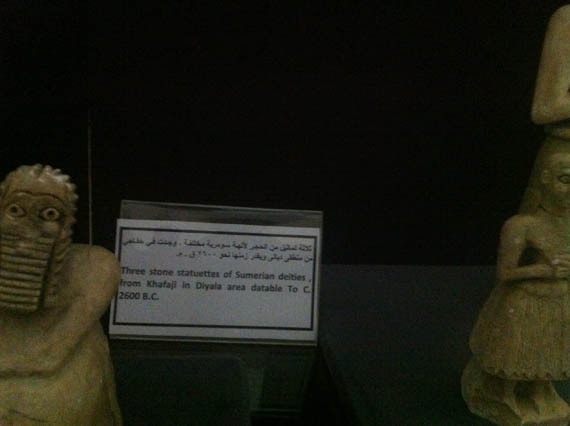 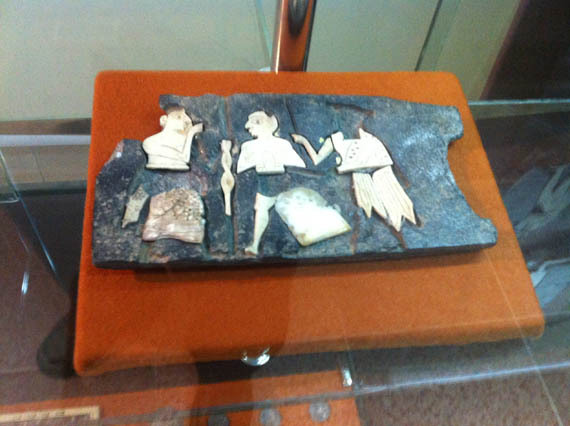 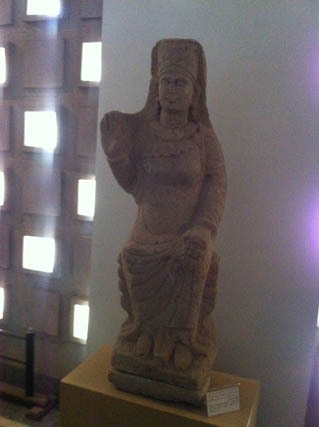 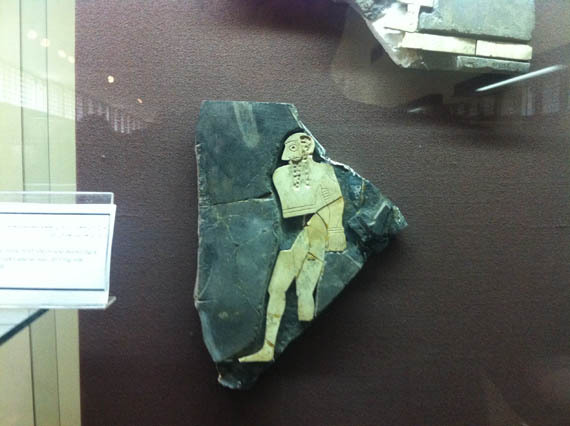 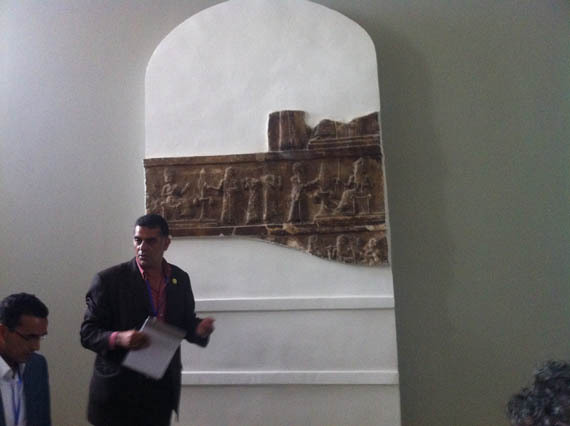 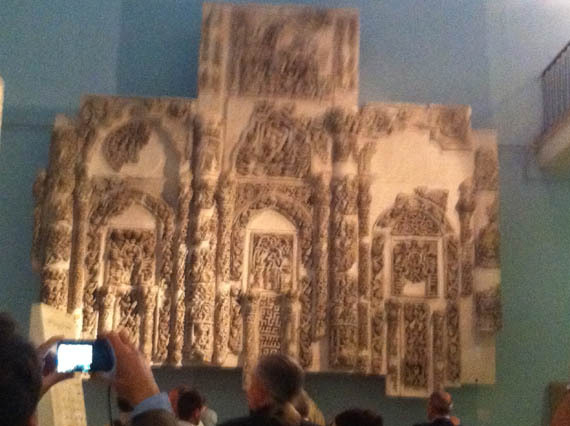 Here is a photo gallery from my visit on May 9, 2013, to the Iraqi National Museum, courtesy the Ministry of Culture. 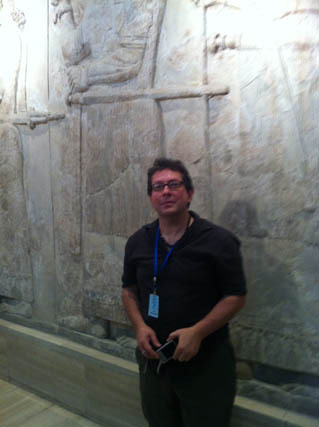 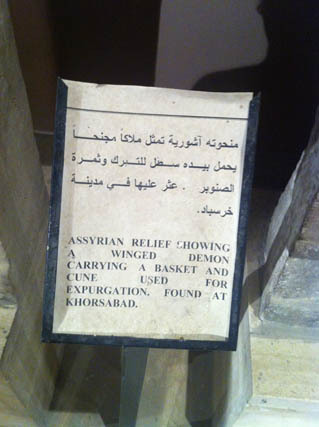 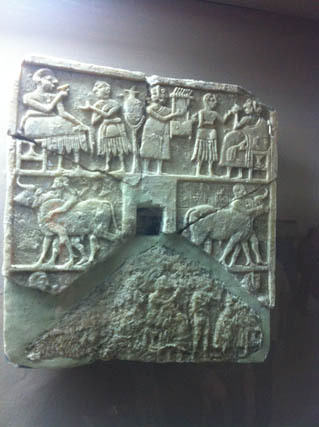 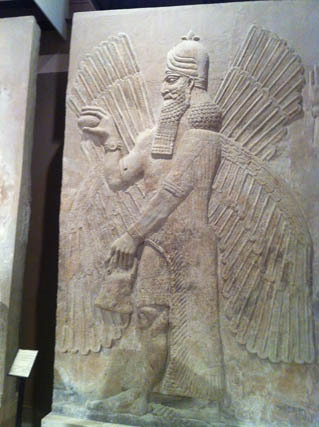 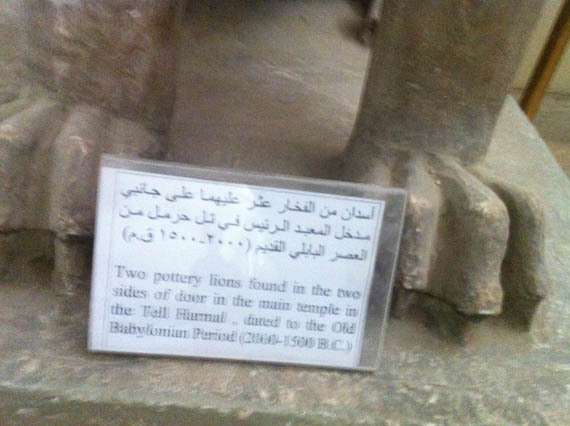 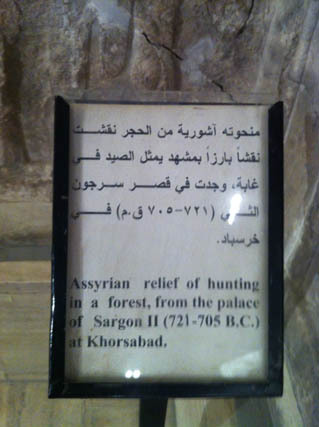 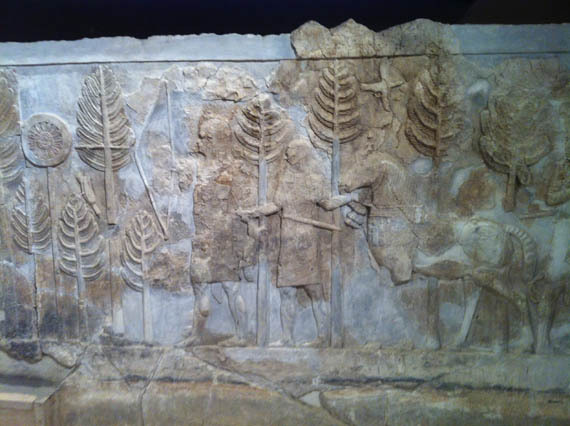 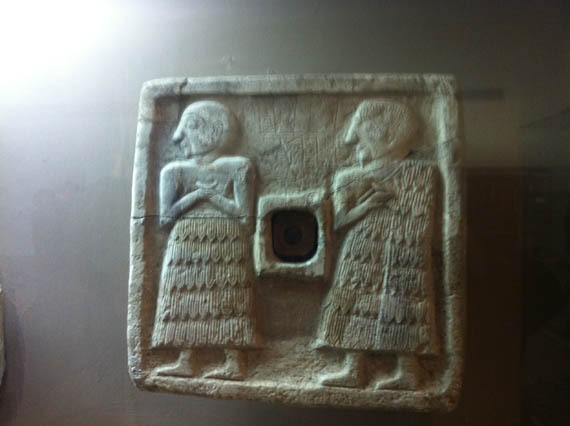 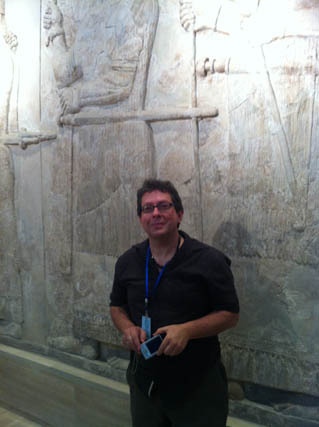 Ancient Iraq or Mesopotamia was, of course, the cradle of civilization, and the treasures on display are breathtaking. 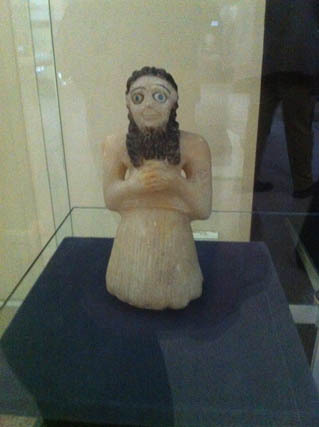 Donald Rumsfeld allowed thousands of items to be looted from the museum in 2003. 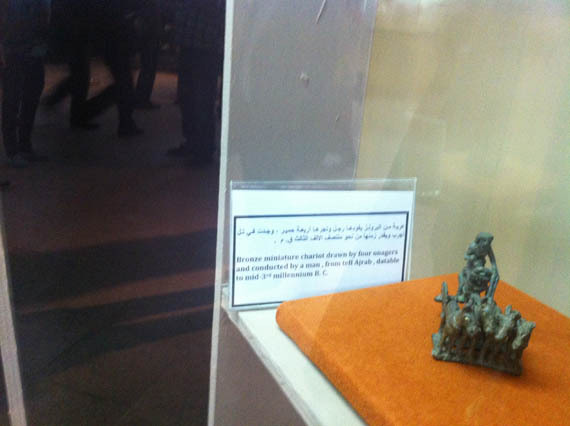 (US soldiers watched the looting happen but were ordered not to intervene). 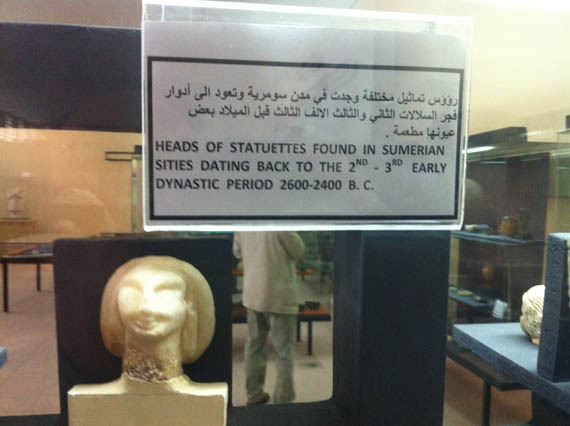 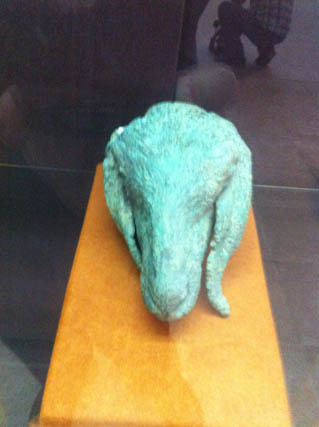 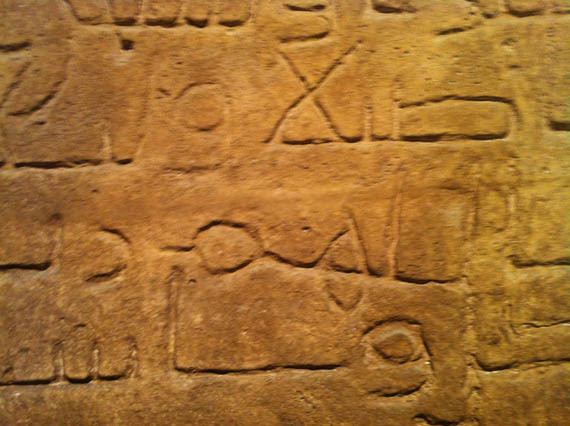 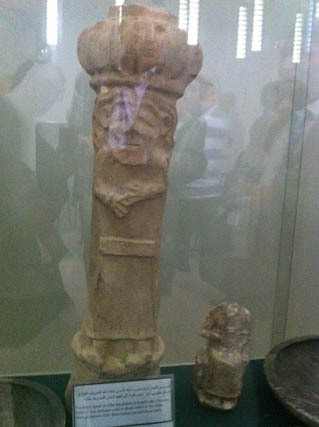 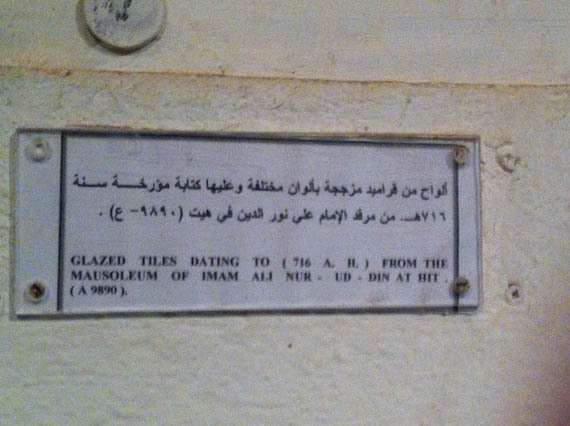 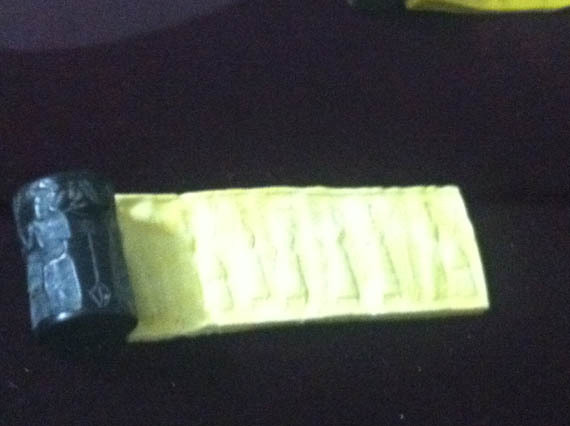 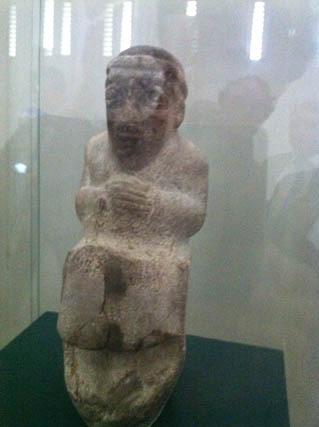 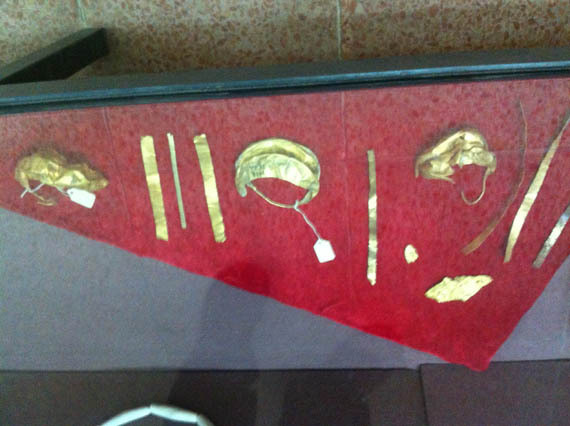 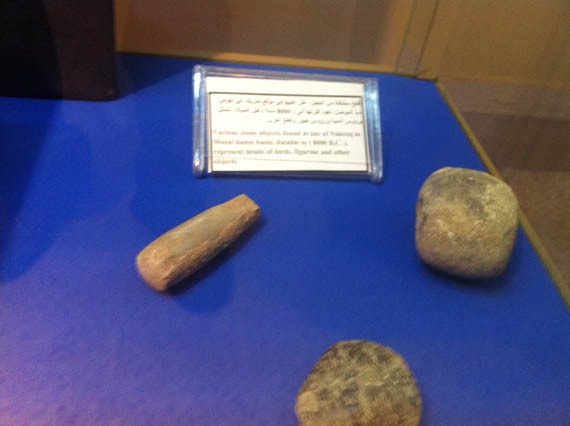 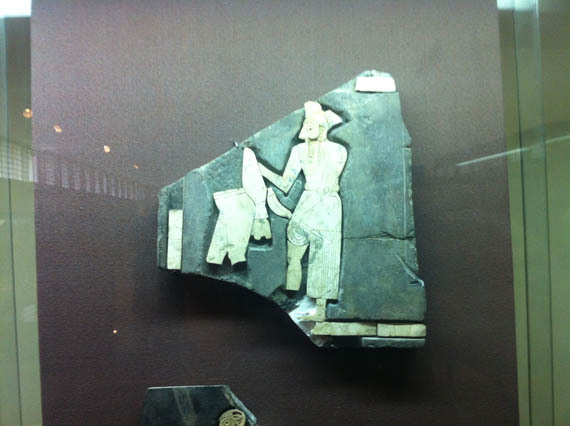 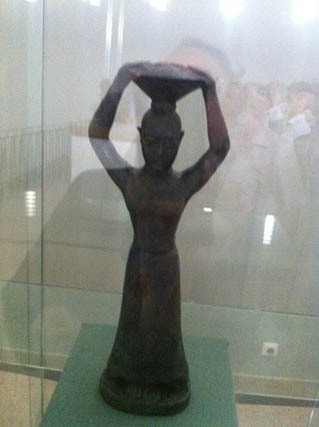 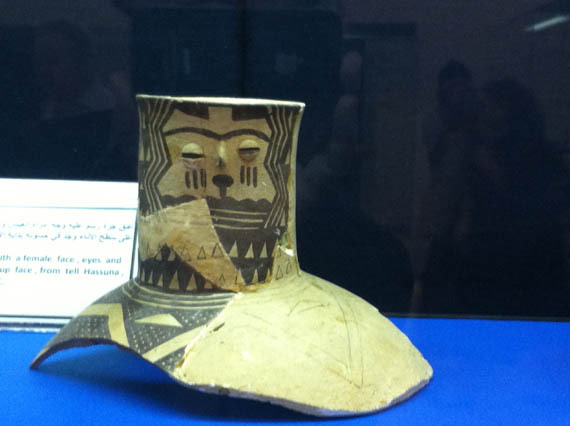 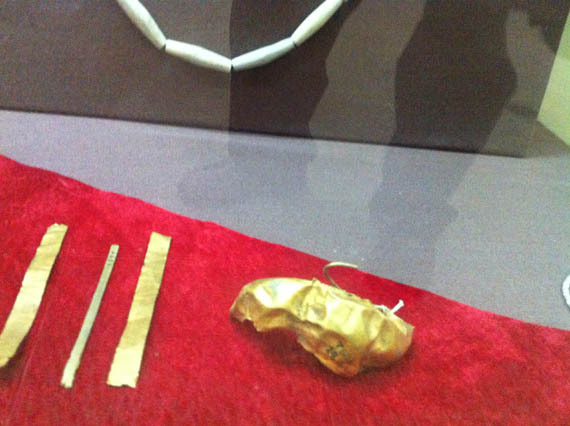 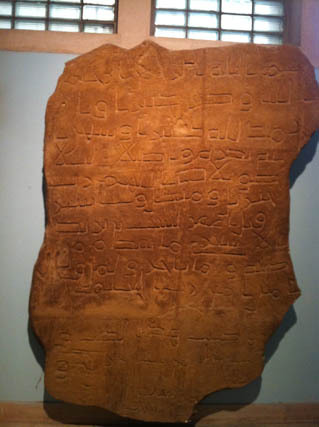 Many artifacts have been recovered but 3000 – 7000 are still missing. 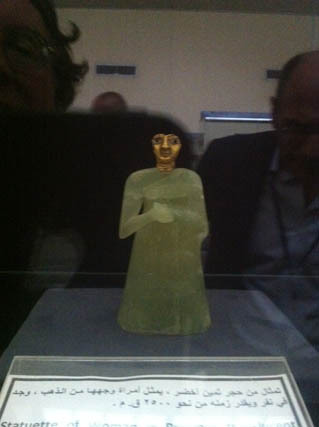 Most of the really important and striking pieces are back on display. 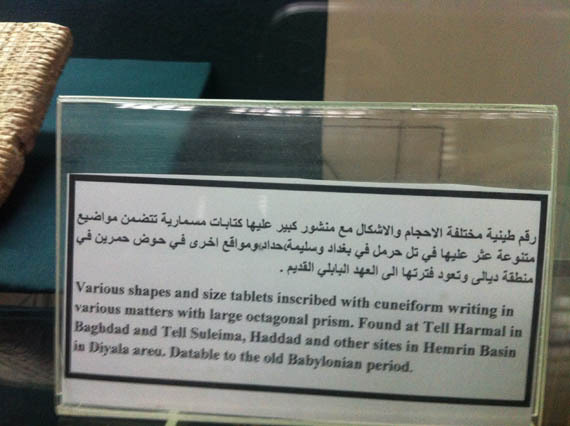 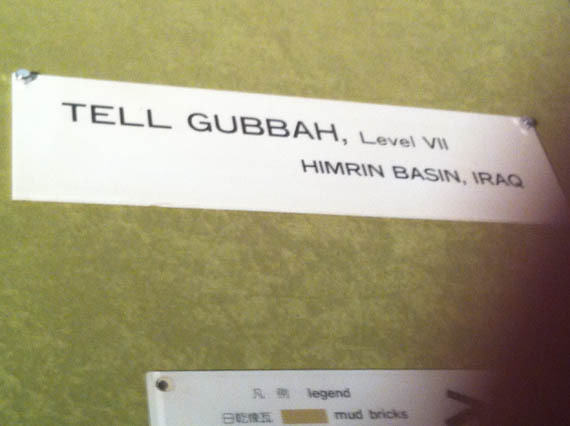 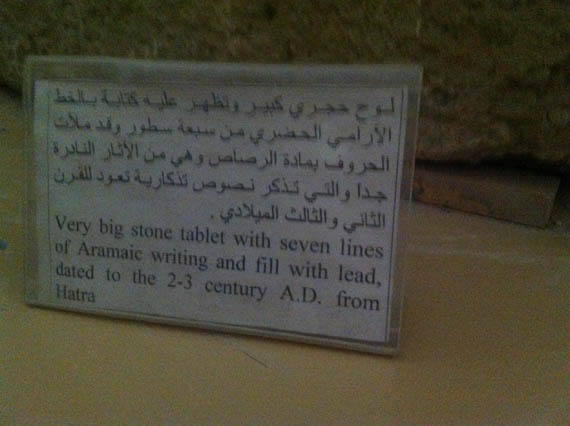 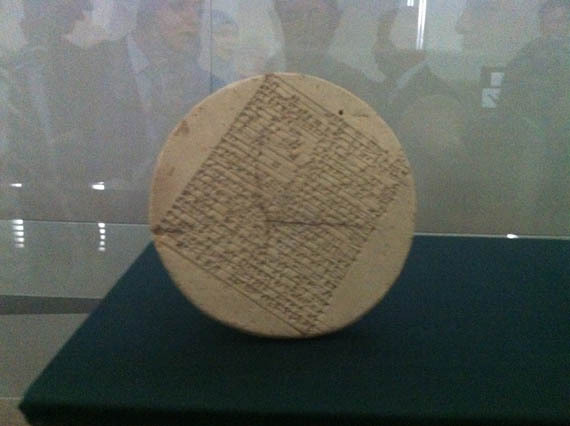 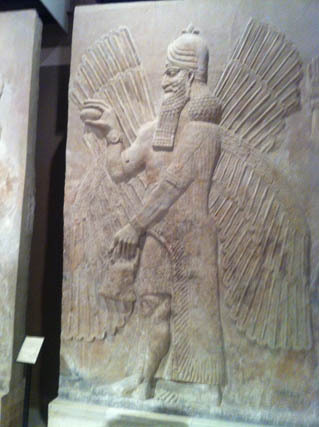 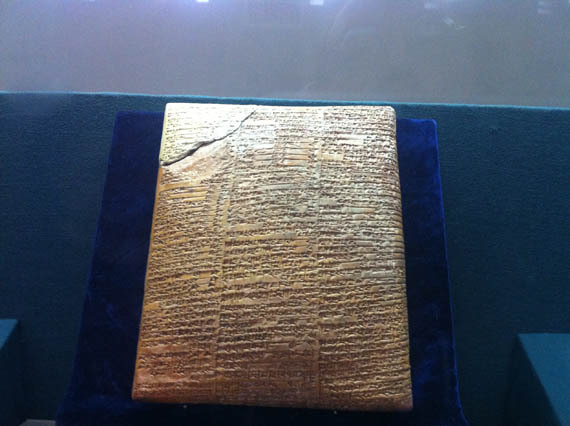 Some things, including precious cuneiform tablets chronicling the dawn of civilization, were forever destroyed. 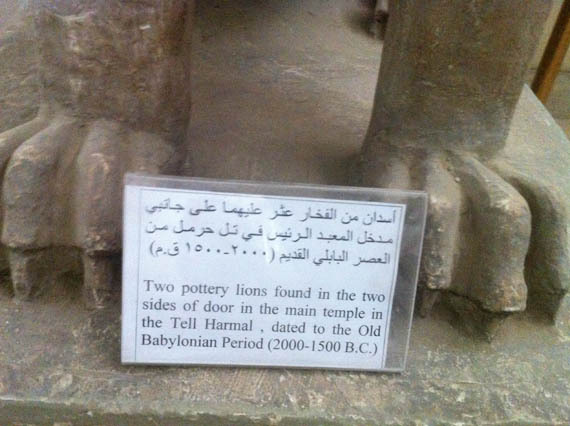 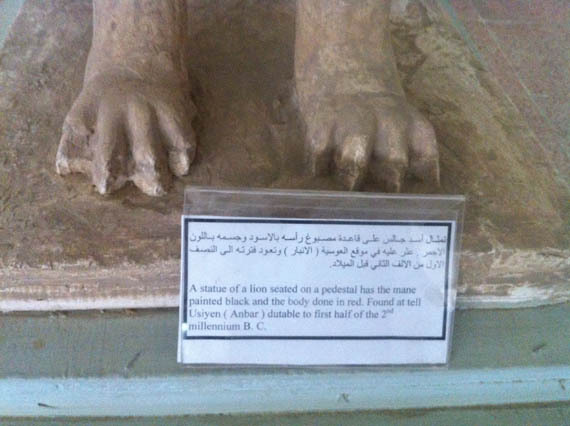 The damage to the museum and its collection is yet another black mark against the Bush administration and, sorry, the United States of America, which by its illegal and brutal invasion and occupation diminished our store of knowledge about a crucial period of world history.